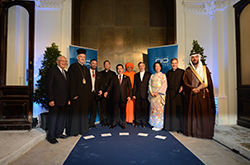 The Board of Directors comprises high-level representatives of the major world religions (Judaism, Christianity, Islam, Hinduism and Buddhism) and cultures. The Centre is headed by a Secretary General. An Advisory Forum of up to 100 members of other religions, cultural institutions and international organizations will provide a further resource of interreligious and intercultural perspective. The Council of Parties is the organ of the Centre where the Parties to the agreement are represented, with the Holy See attending as Founding Observer. The Council convenes at least once a year. Its functions include the election of members of the Board of Directors and the appointment of the Secretary-General and Deputy Secretary-General. The Council of Parties adopts the Centre’s financial regulations, work programme and annual budget. The Council of Parties also, on the basis of proposals of the Board of Directors, nominates the members of major religions and faith-based and cultural institutions to the Advisory Forum. It will approve international agreements and will approve the establishment of cooperative relationships with public or private entities that can contribute to the Centre’s work. The Council of Parties will decide on the admission of new parties and observers to the Agreement. 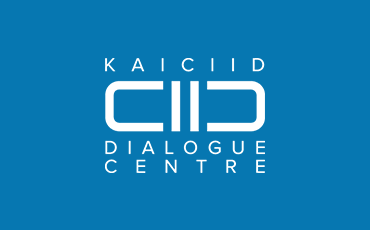 KAICIID is governed by a Board of Directors, consisting of representatives of major world religions (Judaism, Christianity, Islam, Hinduism and Buddhism) and cultures (presented in alphabetical order). As set forth in the Agreement establishing the Centre, a Consultative Forum composed of up to 100 members of the major world religions and religious and cultural institutions and communities shall be established. The purpose of the Advisory Forum is to support the activities of the Board and advise on their programs. The Advisory Forum will provide content to the Centre's activities by providing a broader global perspective from all regions of the world. Its members will also form working groups, as directed by the Board of Directors, to address certain themes and issues. Its members, who shall be appointed for a renewable term of four years, will meet at least once a year. Members of the Advisory Forum shall serve in their individual capacities but take independent decisions as far as possible by consensus or, if not achieved, by a two thirds majority. The KAICIID Secretariat is led by the Secretary General, the Director General and the Deputy Secretary General. At its first session in October 2012 the representatives of the Council of Parties appointed Faisal Bin Abdulrahman Bin Muaammar as Secretary General of the Centre.